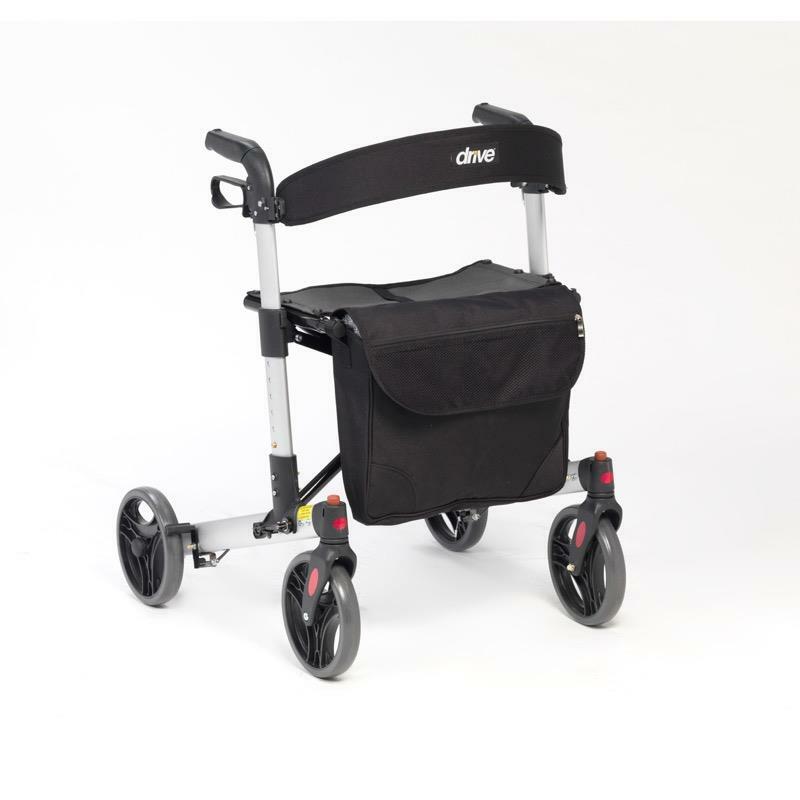 The compact X Fold Rollator is a lightweight, sturdy rollator which can easily fold in two directions for easy storage and portability. The handles are height adjustable to suit the individual user by simply using push buttons. The X Fold features ergonomically designed handles and loop brakes with the brake cables cleverly hidden within the frame. 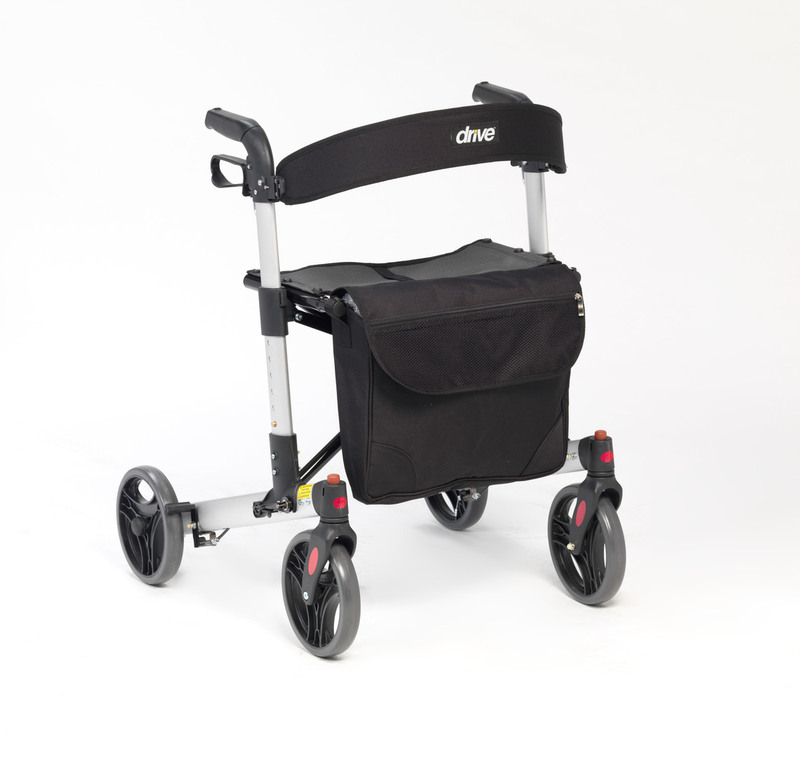 The rollator features 8" wheels making it ideal for outdoor use.The X Fold is supplied with a removeable black bag and a canvas seat for resting.